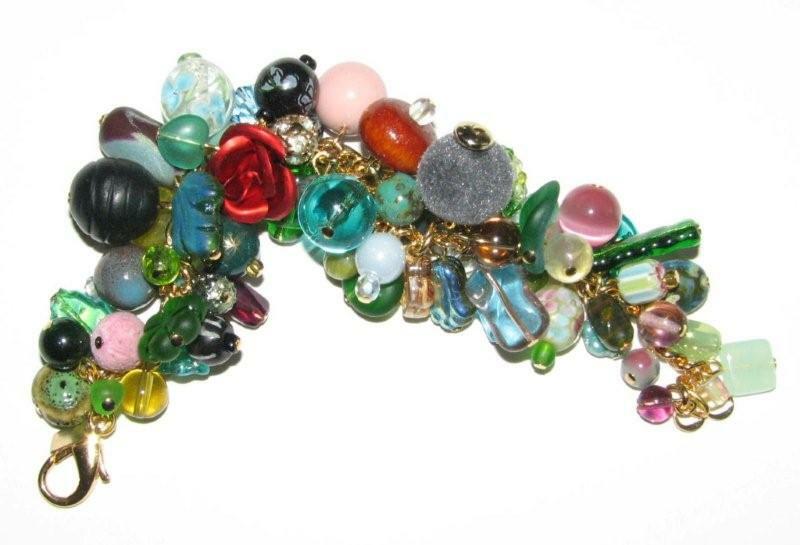 Ultimate Charm Bracelet #12. 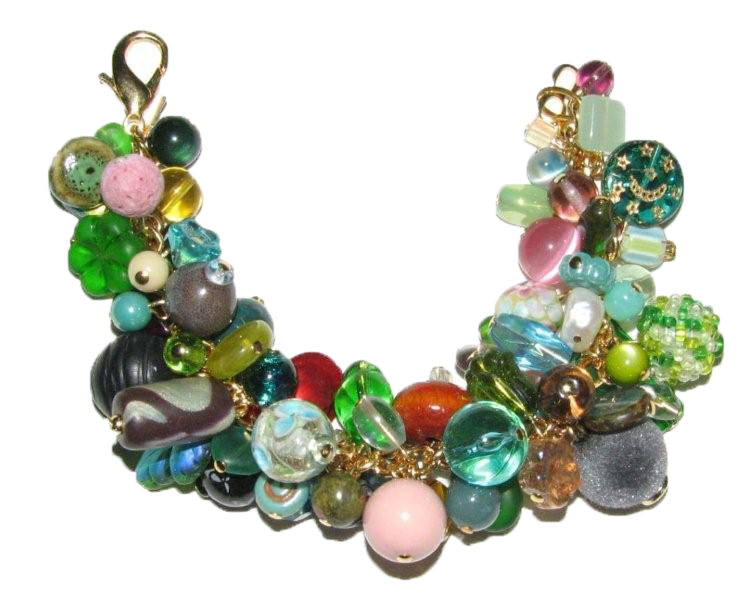 This bracelet is a one-of-a-kind charm bracelet with NO TWO BEADS ALIKE! 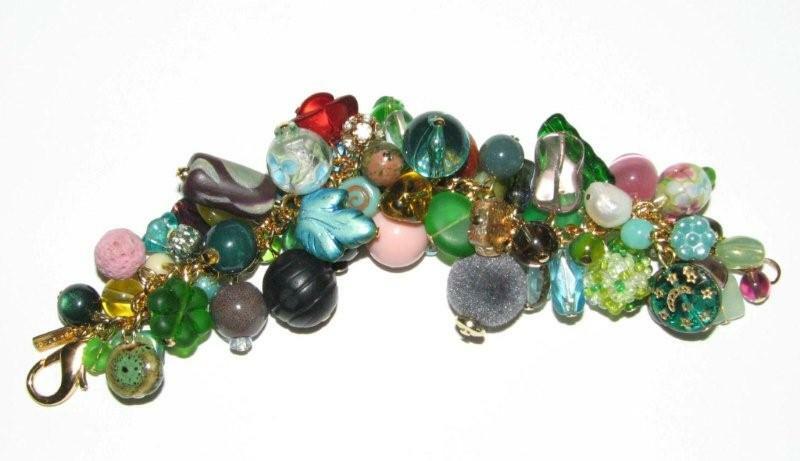 There is a huge variety of all types of beads, recycled and new, gemstone, glass, shell, wood, pearl, ceramic, etc. I have hand-picked beads for this bracelet and each is handwired onto gold-plated chain with a gold-filled Julia Bristow tag.